Beef also was difficult to be procured and exceedingly poor; the price nearly sixpence farthing per pound. On the 28th the ship's company received two months pay in advance, and on the following morning we worked out to St. Helen's, where we were obliged to anchor. The object of all the former voyages to the South Seas undertaken by the command of his present majesty, has been the advancement of science and the increase of knowledge. The ship was masted according to the proportion of the navy; but on my application the masts were shortened, as I thought them too much for her, considering the nature of the voyage. There is a degree of wretchedness and want among the lower class of people which is not anywhere so common as among the Spanish and Portuguese settlements. Since it was rated only as a cutter the Bounty had no officers other than Bligh himself (who was then only a lieutenant) a very small crew and no Marines to provide protection from hostile natives during stops or enforce security on board ship. Shortly thereafter A Narrative of the Mutiny on board His Majesty's Ship "Bounty" was publiWilliam Blighd. 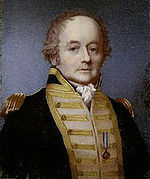 A historic mutiny occurred during his command of HMS Bounty in 1789; Bligh and his loyal men made a remarkable voyage to Timor after being set adrift in the Bounty's launch by the mutineers. Fifteen years after the Bounty mutiny he was appointed Governor of New South Wales in Australia with orders to clean up the corrupt rum trade of the New South Wales Corps resulting in the so-called Rum Rebellion.